If you have been receiving emails from unfamiliar names at APC, you will realise that our team has grown! This year, we welcome a team of superstar interns and associates, all keen to contribute their diverse experience to our programmes. Mijail Santos Lujan and Noudhy Valdryno (Ryno) are both scholars at LKY School of Public Policy. Despite his young age, Ryno has unrivalled experience in the Indonesian political scene, having run 1 presidential and 1 governor digital media election campaigns. He has long aspired to do his part for social improvement and is currently learning the role philanthropy plays in the bigger picture. Mijail hails from Mexico, having been in charge of conditional cash transfer programmes at the Ministry of Education; and currently he still manages youth volunteer programmes in the Southeast Asia region. Aleithia Low recently graduated from Yale-NUS, a photography enthusiast and consummate writer, she is still looking for that perfect intersection between using art to create impact in communities. Having spent most of her years in China, Yu Ann Tan, having spent most of her student life overseas, is now in Singapore eager to use this as a base for her development work. She is concurrently conducting research on Myanmar and China. Come July, we welcome Wei Kong to our core team and will be in charge of research and design: not only of our programmes and projects, but also of our processes; helping to define what makes the APC brand of philanthropy. Some would already be familiar with Wei as he was involved in our research for the assisted living facility project. Before that, Ishita Upadhpay also joins us as our Operations Manager. Though she was trained in computing, Ishita’s passion has always been in the social sector, having worked in the Red Cross in India, and volunteering in various organisations in Singapore. We also have a stellar team of consultants that are helping us build up our new fund, including Patsian Low, Gautam Ramnath and Sharon Low. 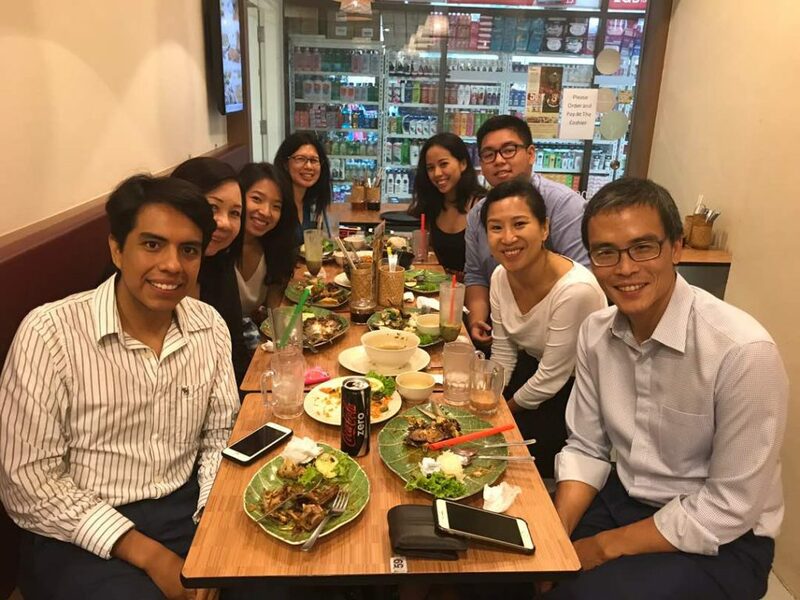 Patsian is a veteran in the philanthropic space in Asia, having headed DBS Foundation, and also working alongside Laurence at Singapore’s National Volunteer and Philanthropy Centre. Gautam is a seasoned nutrition and development expert, having lived in almost all continents, working under the Global Alliance for Improved Nutrition, and other US state funded development programmes. Sharon earned her chops with many multilateral agencies, including International Red Cross, MSF and Aga Khan Foundation; focusing on areas of health intervention and evaluation. Unfortunately, we had to bid farewell to Berlinda Gooi, she was our resident Bahasa speaker, looking after our Global School Leaders project in Malaysia and the programme development for inclusive education in Malaysia. Christine Chaw, who was Laurence’s trusty Executive Assistant, left us for Brahm Centre – which we are all keen to visit for some mindfulness! As APC continues to grow our programmes and services, we are also building our team to effectively deliver them for our members and the wider communities. It is an ongoing talent development exercise for APC and for the philanthropic sector, and they look forward to supporting you in your philanthropic journey!